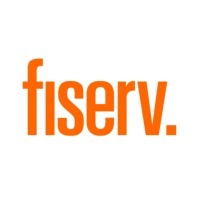 Sussex Bank has announced the adoption of the Premier bank and solutions platform from Fiserv Inc, a global financial services and solutions provider across multiple asset classes, according to a Fiserv statement. 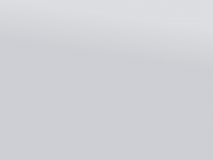 Fiserv has a comprehensive suite of solutions offerings ranging from risk management to Fx. More specifically, its Tradeflow Fx operations post-trade processing platform is part of its long standing arsenal of versatile solutions. In the case of New Jersey-based, Sussex Bank, the company opted to embark on an initiative to expand into new markets and chose to lean and rely on Fiserv technology and product development garnered via its new partnership. Fiserv is specialized in a number of these ends, particularly in time sensitive financial services such as mobile transfers, remote check capture, payments, cash logistics, order processing etc. Aside from Fiserv’s Premier bank platform, the company is also slated to introduce its Popmoney platform that will in essence allow for the simultaneous transfer of payments, along with secure deposits facilitated through select camera smartphones – part of its Mobile Source Capture offering. “Sussex Bank’s continued growth in the highly competitive northern New Jersey market is a testament to the bank’s strength, strategy and foresight. 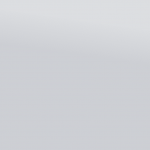 Premier and additional integrated solutions and strategic services from Fiserv will help Sussex Bank go head-to-head with its large regional and national competitors, while addressing the bank’s need for increased efficiencies and enhanced reporting. Sussex Bank joins a growing number of U.S. financial institutions that look to Fiserv to deliver value, innovation and integration, added Teri Carstensen, Division President at Fiserv. Finally, Fiserv solutions will help bolster operation efficiencies at Sussex bank by the automation and streamlining of several processes. Analytical reporting, and the facilitating of decisions and data are at the forefront of this aim, while Fiserv’s Director of Operations will help handle the services and management side of the business.